A political row has broken out in South Africa over comments made at the funeral of African National Congress stalwart Peter Mokaba, who died a week ago aged 44. Members of the crowd at the funeral chanted "Kill the Boer, kill the farmer", a slogan Mr Mokaba was famous for using during the last year of the struggle against apartheid. The mourners at Mr Mokaba's funeral on Saturday included Nelson Mandela and Thabo Mbeki, and criticism has been levelled at high profile ANC members for not intervening to quieten the crowd. The main opposition alliance has called it disgraceful and another party has said it will lodge a complaint with the human rights commission, claiming it is hate speech. The phrase "Kill the Boer, kill the farmer" raised passions in the fight against apartheid, of which Peter Mokaba was highly influential as the ANC's youth leader. He continued using the phrase right up to the 1994 election to deliberately provoke rage among white South Africans. 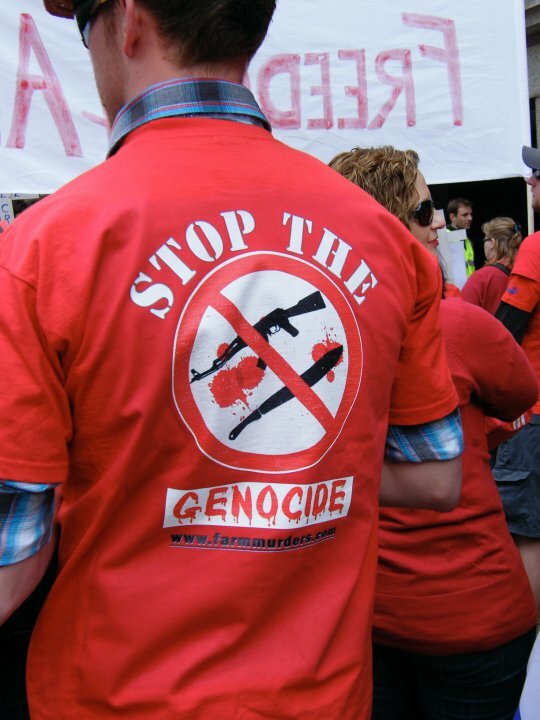 On the same day as the funeral, a farmer and his wife were killed in front of their son in KwaZulu-Natal, and opposition parties have drawn attention to the fact that 900 farms were attacked and 140 farmers murdered in South Africa last year. An Afrikaner political party said the use of the slogan could be interpreted as inciting crime and violence, and accused the ANC of double standards when it came to condemning racism. "What would be the reaction of ANC leaders if farmers starting changing 'Kill the Xhosas, kill the blackman' during the funerals of the Dent couple?" Freedom Front leader Pieter Nulder said.